E-file is the fastest way to file your return and receive your refund. The speed and accuracy of computers allow electronic returns to be processed faster than paper returns, greatly reducing errors and delays.E-file uses secure technology to ensure the safety of your personal information once it is transmitted to the IRS and the Department of Revenue. 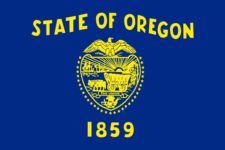 Tax Reminder works year round to keep official tax form info up-to-date for Oregon and the rest of the USA. The IRS and states change their forms often, so we do the hard work for you of figuring out where the official form info is located. Never forget to file OR 40-P again. Are we missing a Oregon tax form?